Phillip Meece (@TheCarnivoreBar) is the creator of The Carnivore Bar, A Zero Carb High Fat Meat Bar, along with his wife Merry Ellen. 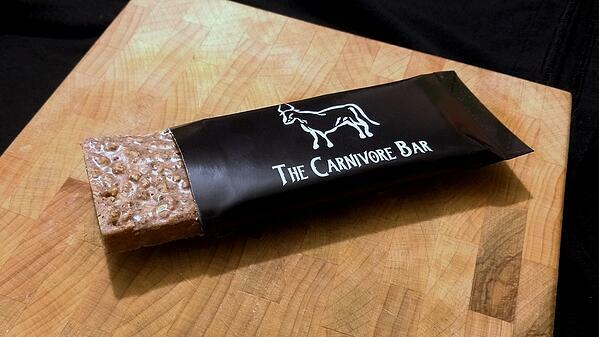 I first had a chance to try The Carnivore Bar at the Boulder Carnivore Conference and I loved it. Phillip is not sponsoring the show and I don’t get any money for this. I’m just a huge fan of a high integrity entrepreneur creating an awesome product for the carnivore community! Phillip is a former combat medic, having served in Afghanistan in 2011. He was inspired by the horrific nutrition from the soldiers he cared for and that he sees now everywhere as a civilian.